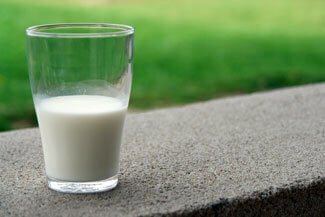 Milk and Osteoporosis: Does Milk Prevent Osteoporosis? You are here: Home » Articles » Osteoporosis Nutrition » Does Milk Prevent Osteoporosis? Milk is not the magic bullet in the fight against osteoporosis. In fact many people are surprised to learn that the research around milk and osteoporosis is controversial and far from conclusive when it comes to milk and decreased risk of osteoporotic fractures. Milk and Dairy: Good or Bad for Human Health? A recent review in the journal Food and Nutrition Research titled, “Milk and dairy products: good or bad for human health? An assessment of the totality of scientific evidence”, concludes that to date “meta-analyses have not supported a protective effect of milk and dairy intake in adulthood on risk of osteoporosis and bone fractures”. They further state, “The present evidence suggests a positive effect of milk and dairy intake on bone health in childhood and adolescence, but with only limited evidence on bone health in adulthood and on the risk of bone fractures in older age”. They conclude, “The totality of available scientific evidence supports that intake of milk and dairy products contribute to meet nutrient recommendations, and may protect against the most prevalent chronic diseases, whereas very few adverse effects have been reported”. Most of the studies’ authors declared they have received funding from dairy organizations. More Milk. Greater Fracture Risk? An interesting 2014 Swedish study published in the British Medical Journal found that women who drank more milk were at greater risk of fractures. Significant increases in fracture risk occurred in women with milk intakes as low as one to two servings per day. This was a large study of over 61,000 women 39 to 74 years and of over 45,000 men ages 45 to 79. Women who consumed 3 or more 8-ounce milk servings per day were close to twice as likely to die as those consuming less than 1 serving milk per day. The participants that drank the most milk were 16% more likely to suffer from all types of fractures and 60% more likely to have a hip fracture. The researchers postulated that D-galactose, which is part of the lactose in milk, might be the problem. D-galactose is much lower in fermented dairy products. The study also found that higher consumption of fermented milk products was associated with less risk of fracture and mortality. This is an observational study, which means it does not prove a causative effect. More research on milk and osteoporosis is needed before definite conclusions can be made. This is not the first study or expert to question the benefits of drinking milk and to find no association between drinking milk and less fractures. The researchers did not suggest that the study on milk and osteoporosis conclusively proved you should avoid milk but did state, “Our results may question the validity of recommendations to consume high amounts of milk to prevent fragility fractures”. Milk products are excellent sources of calcium and healthy bones require calcium. Consuming milk is a personal decision. If you enjoy and tolerate milk, and choose to drink it, then drink it in moderation and keep in mind there is a lot more to healthy bones than drinking milk. I’d also encourage you to consider substituting more fermented dairy for regular milk and to be sure to eat lots of fruits and vegetables and adequate protein. My personal practice and recommendation at this time is to get a significant amount of your calcium from plant foods and fermented dairy like yogurt and kefir. Limit milk to moderate amounts and do not feel guilty about not drinking milk, as long as you get your calcium from other sources. While I personally don’t drink a lot of regular milk, I do occasionally enjoy a good latte or mug of hot chocolate made with milk, low fat or fat free, since I’m always watching my calories. 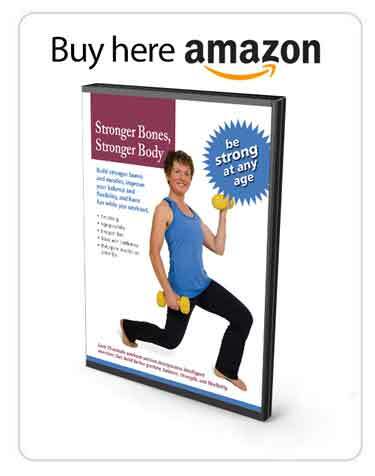 I am a 60 year old Dietitian fighting off osteoporosis. My mother and grandmother had osteoporosis. 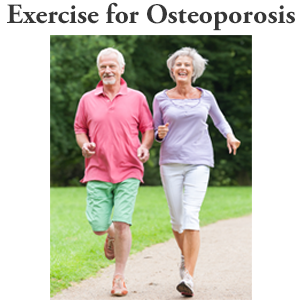 Like many people, I thought drinking lots of milk and exercising all my life would keep me from getting osteoporosis, but it didn't. I've learned it is a little more complicated than that. 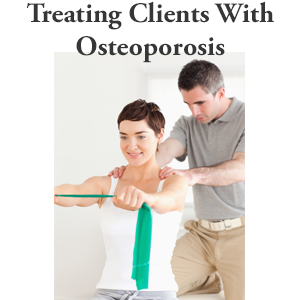 Fighting osteoporosis nutritionally is more than just getting enough calcium. Exercise is key but must be accompanied by an adequate intake of multiple bone strengthening nutrients best obtained from a variety of healthy foods. Even as a Dietitian, I find the wealth of, often conflicting, recommendations related to nutrition and osteoporosis overwhelming and confusing. 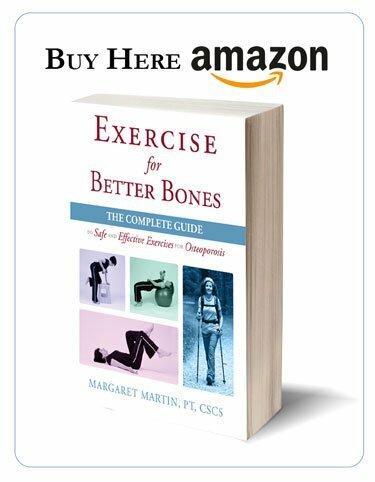 So, I've spent considerable time reviewing the osteoporosis nutrition research and applying my nutrition skills and training to developing what I believe, is the best nutritional approach to maintaining strong bones and avoiding bone fractures. I've put together a simple to follow "Food 4 Osteoporosis Eating Plan" encompassing what I, as a Dietitian and Nutritionist, feel the research currently best supports for osteoporosis prevention and treatment. The Eating Plan will evolve as additional research further clarifies the best nutritional approaches to maintaining strong bones. This Eating Plan is also a great way to fight heart disease, cancer and Alzheimer's Disease. This is an Eating Plan that many people, with or without osteoporosis, could use as a guideline for improving their diets and their health. I love my profession in the field of nutrition, where I can combine the art of food and eating with the science of nutrition and good health to improve my own eating habits and dining experiences while helping others do the same. Where is the EATING PLAN you mentioned? Nancy offers both personal consultation services and a book on Amazon. Feel free to contact Nancy directly. Thanks for these medical facts. I learned a lot. I never really believed milk was a good source of calcium for osteoporosis. So thank you for sharing the information on that study. I think dark green leafy veggies are a much better source of calcium. I think of the Asian culture where they prepare foods with bok choy , broccoli, and those great mushrooms chock full of vitamin D for calcium absorption! I read an article recently that concluded that higher fat milk is better for children than lower fat milk, one of the reasons being that the fat helped them absorb the added vitamin D better. (http://ajcn.nutrition.org/content/early/2016/11/15/ajcn.116.139675.abstract) I happened to mention this to my sister who lives in the UK, and she said that milk in the UK is not supplemented with vitamin D. I wonder whether the milk in the Swedish study you mention was supplemented with vitamin D and if not, what kind of a difference vitamin D supplementation would make? If the D-galactose which is in milk is a problem, is lactose free milk an acceptable type of milk to drink for people with osteoporosis? Lactose free milk has the enzyme lactase added which breaks down the milk sugar lactose to galactose and glucose so it can be absorbed. So lactose free milk contains D-galactose. Ultra-filtered milk (like Fairlife), which is a different product than standard lactose free milk, has 65% of the lactose filtered out and then adds lactase to deal with the remaining lactose in the milk. So I would expect ultra-filtered milk to also contain some D-galactose. Remember, the study discussed found correlations and theorized it could relate to D-galactose but did not prove anything, which is an ongoing challenge with so much of the nutrition research. Thanks for your comment. I am sensitive to many foods, in particular dairy, including yoghurt, and I am on a four day rotation diet to avoid sensitivity reactions. It appears that a lot of the calcium in your menus comes from yoghurt in the smoothies. I am unable to tolerate the same food/drink on consecutive days, in fact only one day in four, so if you have any advice how I could get more calcium in my diet for my osteoporosis without resorting to a lot of supplements, I would be grateful. Focus on leafy greens, especially kale. If you sauté greens, make pesto from greens (arugula & kale make great pesto) or eat kale as a massaged kale salad you can comfortably consume a lot more greens and calcium than just eating raw greens. Oranges, almond butter, beans, canned salmon with bones, sardines and even blackstrap molasses provide calcium. Drink San Pellegrino mineral water which has 40 mg. calcium per 8 ounces. Good luck! I am trying to follow your diet book. Having a little trouble since I don’t have a great deal of time for cooking. Since it appears that your daily recipes are balanced with respect to each other I would like more ideas for substitution. Also, can I sub another cheese for feta and salmon for tuna?